With so many shoes in the market today, it is sometimes troublesome to find the right one you need. Like any other type of shoe, a nursing must be must be very durable since you are most likely to be standing all day during work hours. 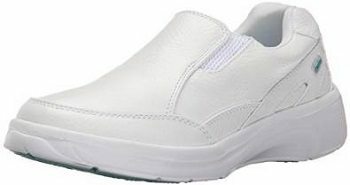 Nursing shoes must be comfortable to reduce strain on your feet and maintain your balance all the time. Finding the right shoe is not going to be a big problem as long as you have the right fit. Of course, it is recommended that you always try it on first. That is not too tight or too loose but in case you will be ordering online, then the shoe size will be the issue once you fit them. 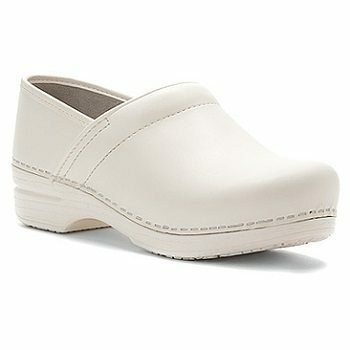 So, whenever you don’t have the time to shop for the right nursing shoes, here are the best qualities you can get today. The Cherokee Mambo is for women who want a simple yet durable shoe that also compliments with the uniform. It is made of premium tumbled leather upper and a rubber sole. The heel measures approximately 1.5 inches for additional comfort and less impact. The mid-sole premium dbl material is lightweight and soft to provide better cushioning. It also features a double goring system for individual fit, breathable lining for comfort and is slip resistant. It is easy to clean and very comfortable for all day wear and slip on and off easily. These good quality shoes are true to size. 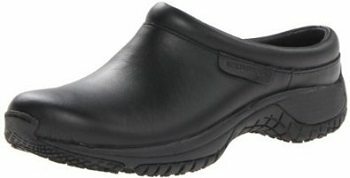 This Merrell Women's Encore Pro Grip Work Shoes are professionals' choice for convenience, comfort, and practicality. The air cushion midsole is made for stable footing and a Sure Grip sole that is low-profile, water-channeling and non-marking. Its top-to-bottom comfort starts with cushioned lining with full grain leather upper that is waterproof and easily cleaned. The Merrell Encore Pro incorporates a cutting edge tread design with a distinctive pattern characterized by specialized grooves that channel liquids away, providing superior traction, long-lasting durability, and maximum gripping performance. Overall, these are great shoes if you don’t want to spend too much money. Attract all eyes with the women's Dansko Pro XP Mule shoes. Made from premium leather and has a synthetic sole. The platform measures approximately 1 inch while the heel is 2 inches for extra comfort. It has a padded instep and removable, dual-density polyurethane memory foam insole to provide utmost cushioning support. Its inner frame decreases torque and optimizes lateral stability. To sum its magnificence, it is APMA certified and has a slip-resistant rubber outsole with anti-fatigue rocker bottom to move with ease. Also, it can accommodate custom orthotics. 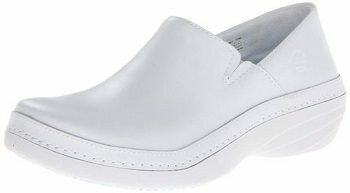 Pull on the women's Dansko Pro XP Mule shoe for the foot-friendly comfort and practicality. The Birkenstock Tokyo Super Grip Clog Cork and latex footbed designed to mirror the shape of a healthy foot and provide a natural walking environment. It features a synthetic sole and genuine leather upper with two adjustable buckles and back strap. The contoured cork footbed supports all arches of the foot and molds and shapes for a custom fit and is certified slip resistant. This shoe has more toe room allowing toes to move naturally, which promotes better balance and correct foot alignment from toe to heel Raised toe bar encourages natural gripping motion of your feet, exercises the legs and stimulates circulation. Shock absorbing sole is flexible, durable, lightweight, repairable and replaceable, like almost every part of your shoes. If you’re looking for a shoe with a low height heel, then this will surely fit your needs. This Timberland PRO Renova series was created to address the specific needs of those who work in the healthcare industry. It has quality leather, synthetic sole and features a Scotchgard protector for stain resistance and exclusive anti-fatigue technology offers all-day standing comfort leg and back support and superior shock absorption. The Timberland Renova Professional Slip-Ons are designed to deliver all-day comfort and anti-fatigue support to those who make their living helping others while on their feet all day. Its Heel-to-toe rocker sole reduces forefoot pressure; Anatomically shaped oblique toe box allows room for the forefoot to spread, reducing fatigue. The tri-density footbed with Outlast Adaptive Comfort temperature regulator is added for maximum support and cushioning while keeping feet drier. Overall, it’s a quality shoe with comfort in mind. 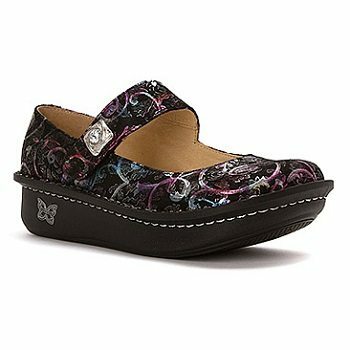 Set in a trendy animal-print leather upper, this Alegria Poloma Animal Clog is what happy looks like. Break free from the norm and get yourself a shoe with a spectacular design and better feet comfort at the same time. The upper is made of quality leather and a rubber sole. The heel measures 1.5 inches while the platform is 1 inch in height. Sure to become a staple of your everyday wear, this clog is fitted with plenty of technology to keep you comfortable and on your feet. The removable footbed allows insertion of custom orthotics to reduce your problems and naturally breathable leather insole with built-in arch support to bring even more happiness to your feet. Its rocker outsole also encourages the proper posture and normal gait to get the best comfort you need. This shoe is an eye-catcher and blends in any uniform, a must have item. 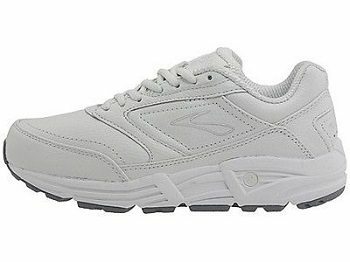 This walking is unique as it has the fit and feel of a running shoe in a casual everyday walker. It features a rear and forefoot Hydroflow that provides excellent cushioning and shock absorption. It has a MOGO midsole, an award winning midsole gives superior cushioning and reduces the shock felt. The signature PDRB triple-density post on the medial side of the shoe makes for industry-leading stability. It also incorporates the S-257 Cushsole, which is a durable, energy-efficient midsole compound used as an insole board for additional comfort. A full-grain leather upper for comfort and soft feel keeps you from slipping in wet weather, making the shoe more durable also. Overall, this is one of the best shoes you can get for a reasonable price.